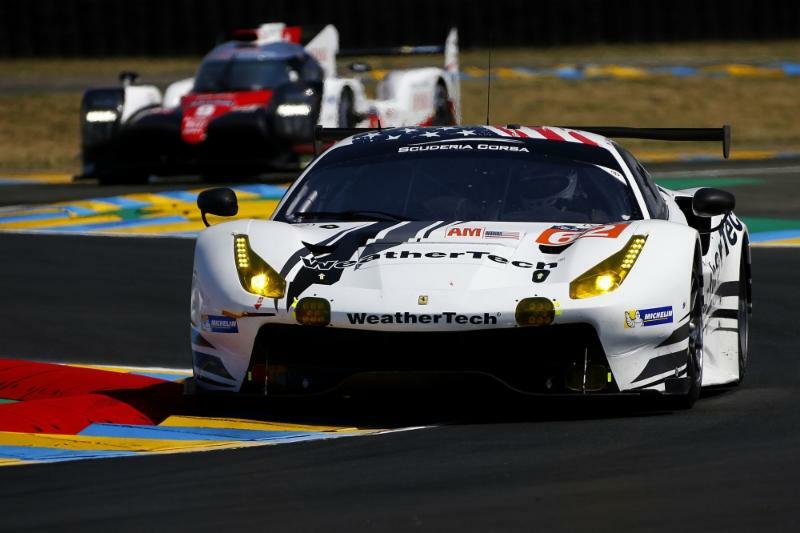 LE MANS, France (June 18, 2017) -Competing on the largest stage in international sportscar racing, Scuderia Corsa would continue their 100% podium rate at the famed 24 Hours of Le Mans with a third-place in class during today’s running. 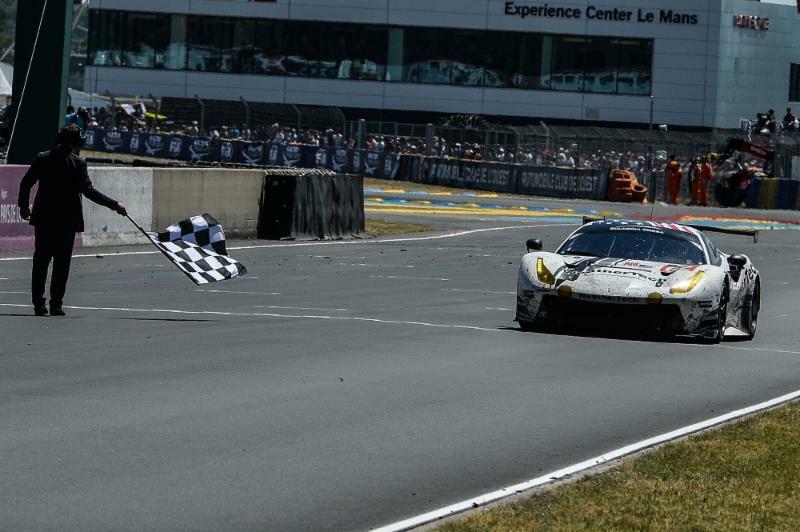 Persevering through constant obstacles inherent in the event, a combination of strong driving, teamwork, and strategy would earn drivers Bill Sweedler and Townsend Bell their third podium in succession, with new teammate Cooper MacNeil taking his first. 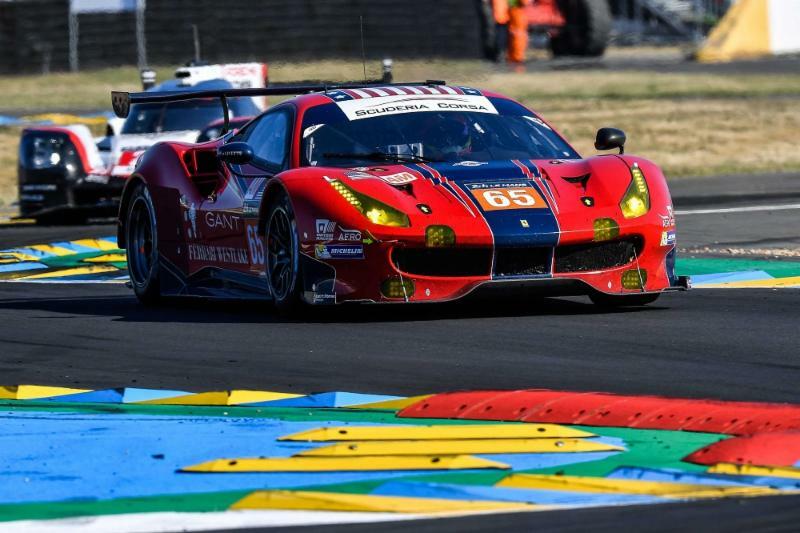 In addition, a hard fought effort by the team would also see Christina Nielsen, Bret Curtis and Alessandro Balzan finishing the 24 hours and taking the checkered flag in 14th. 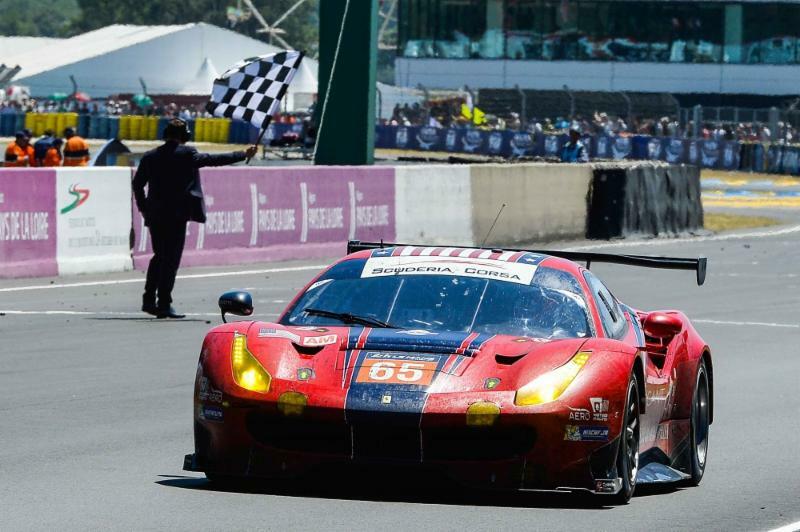 With the 70th anniversary of Ferrari adding to the mystique of the 2017 race, the team would bring two Ferrari 488 GTE entries for the first time in team history. 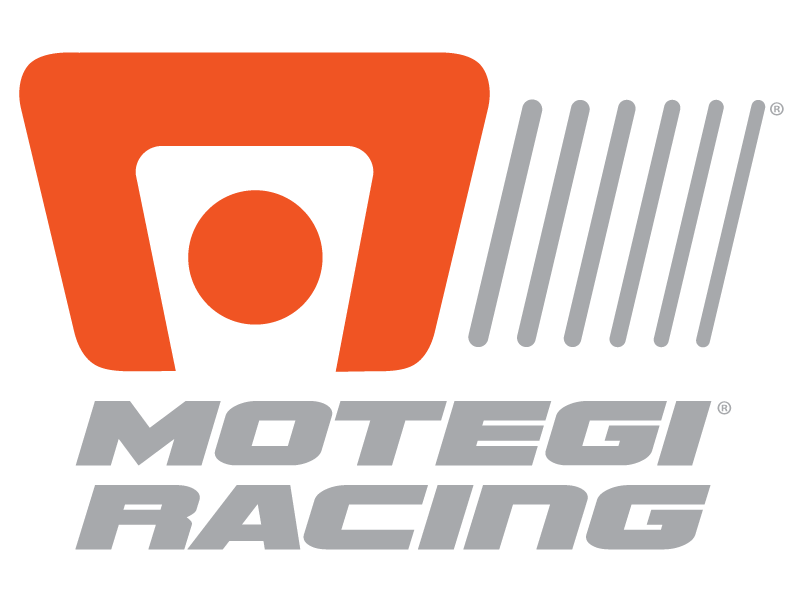 After two consecutive podiums in two attempts, the team would arrive as the defending champions with a commitment to continue the trend. For the No. 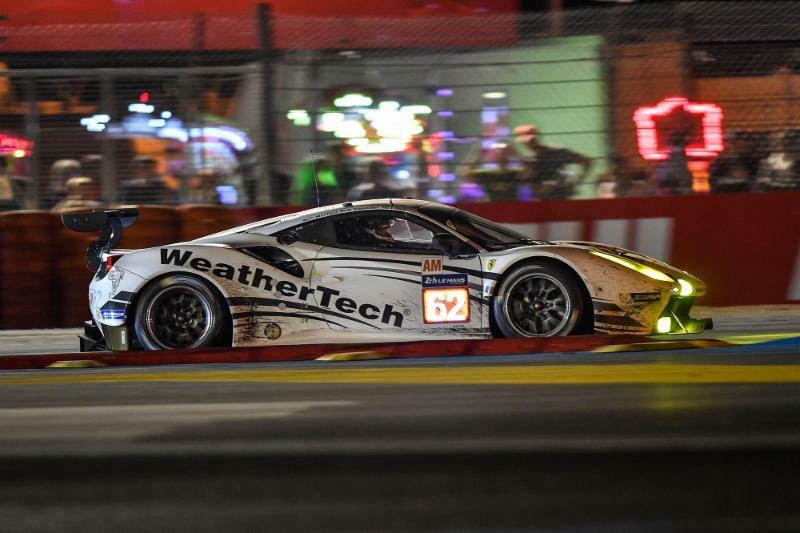 62 WeatherTech Ferrari 488 GTE, a strong opening would see the team lead early, with all three drivers taking on triple-stints, meaning racing at top speeds for nearly three hours at a time. Sitting within the top-four throughout much of the night, Cooper MacNeil would gain three positions to third as the sun rose, with Sweedler and Bell managing the final hours to ensure their position as part of an all-Ferrari podium. In the No. 65 entry, an up-and-down event would highlight everyone’s resolve to push through adversity. Throughout the race, the team would overcome a mix of challenging situations, which included starting from the back after a problematic qualifying session, a mid-race tire puncture, and ended with the crew working tirelessly to make late-race repairs after contact, ensuring the car would go back on track for the final minutes in order to finish. For Cooper MacNeil, a podium effort was the result of complete execution. For Townsend Bell, walking away with his third trophy in as many years is an amazing team accomplishment. For Giacomo Mattioli, satisfaction comes from another podium. 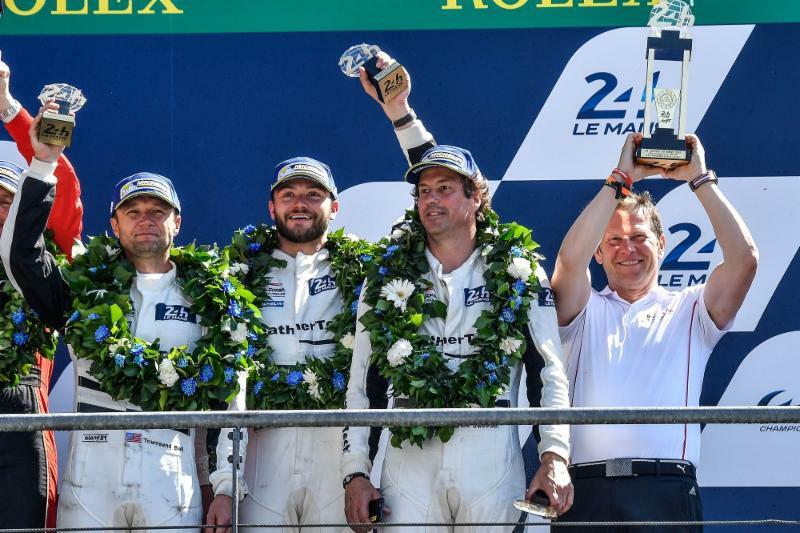 The team will now return to the U.S., with the next stop on July 2 at the IMSA Six Hours of Watkins Glen, where the team will once again arrive as the defending winners.